Have you noticed what the NBA is doing with its basketballs now? David Stern’s tenure as NBA commissioner isn’t officially over yet, but he’s already being phased out in at least one area. New basketballs featuring incoming commissioner Adam Silver’s superimposed signature have begun turning up, with Tim Bontemps of the New York Post capturing the first photo of one at a Brooklyn Nets practice. The change is extremely subtle, obviously, so give Bontemps credit for his eagle eyes to capture the change. 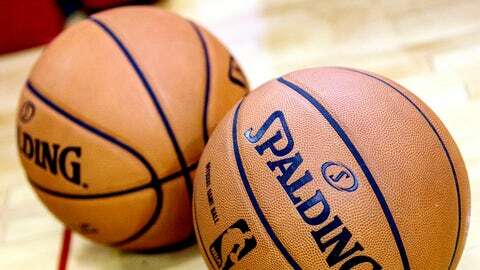 Because official NBA basketballs are pure leather, it takes a lot of dribbling and shooting to wear them down enough to make them good enough to play. It makes sense the NBA would introduce the new balls now so that they’re broken in for use in real games. Check out one of the new basketballs in the tweet below.